The original SQN-5S as successor to the classic SQN-4S Series IVe offered the same convenience of operation in exactly the same size case but with five channels and reduced weight. Recordists familiar with the earlier mixer were immediately at home with the SQN-5S and organizations that had been using the 4S found the new mixer to be completely compatible with the old. 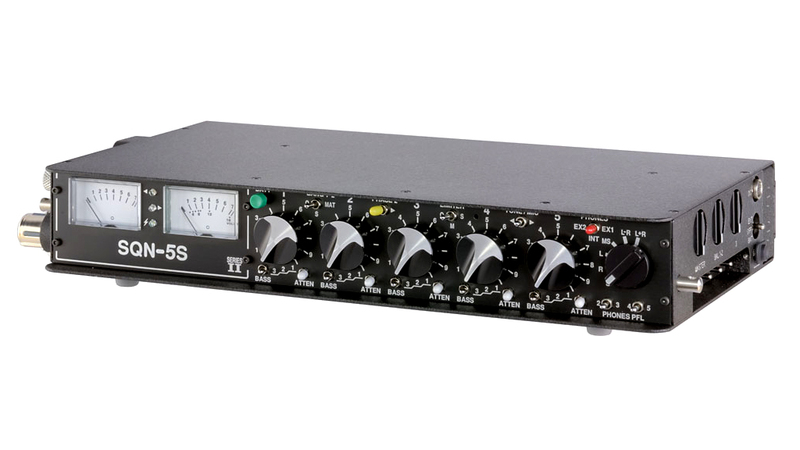 The new SQN-5S Series II expands upon the virtues of its predecessor, including transformerless input and output amplifiers for reduced weight and uninhibited bass, virtually unbreakable analogue level meters, four channels of pre-fade listening, slating microphone, superb limiter, output feed for all five microphone channels and logic processing of most switching giving a minimal length audio path.